This recipe is a bit of a mish-mash of cuisines; it’s part South-East Asian, part Indian and with the pasta element, part Italian. A little confused I admit but it’s quite addictive. You could limit it’s culinary passport somewhat and replace the angel hair pasta with noodles or rice but Italian pastas have a different, softer texture and I prefer them here to the denseness of Asian noodles. This is real comfort food and made all the better for how quickly it can be put together. If I can’t decide what I’m in the mood for but want something tasty, satisfying and quick this is what I make and it tick’s all the boxes. You can make this as spicy or as mild as you like and if you’re making it for the family you can leave the chilli element out entirely without any ill effect. In fact I think this would be a sure fire hit with the kids – that slight sweetness from the peanut butter and palm sugar is very alluring for both children and adults alike. So next time you’re torn between Italian or Asian for dinner, why not have both? 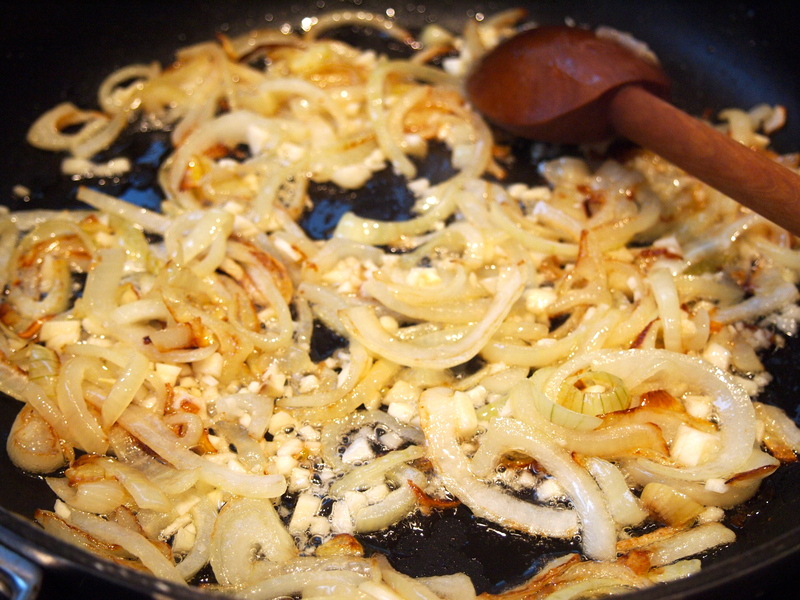 Heat the oil in a medium size fry pan and when hot add the onions and cook until soft; you don’t want to get too much colour on them so stir them frequently and adjust your heat if they start to scorch. Add the garlic and cook for a few more minutes. 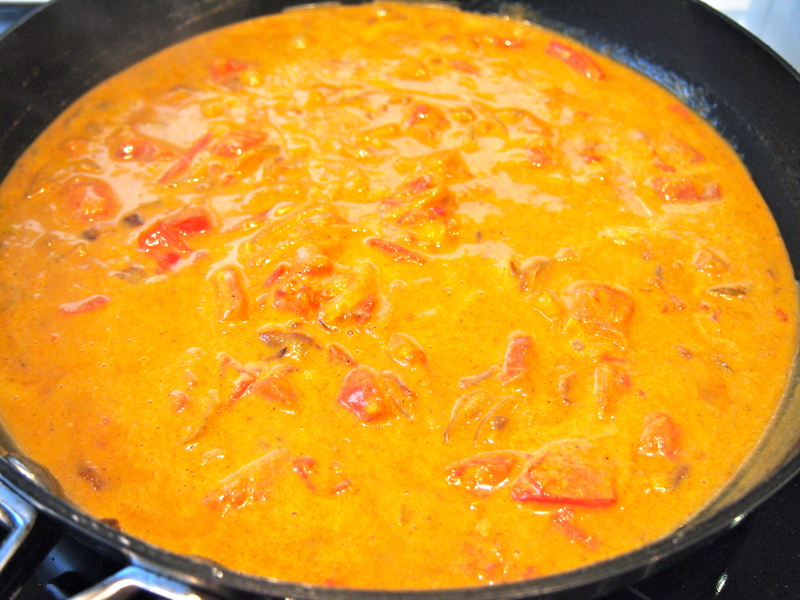 Add the chilli powder, garam masala, turmeric and curry powder and sauté for a few minutes to cook out the spices. 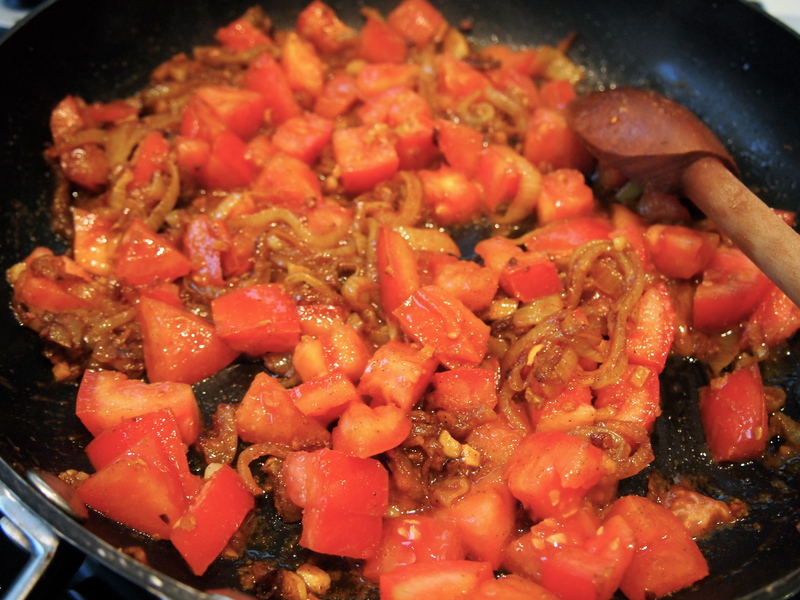 Add the tomatoes, salt, lime juice and zest and cook until the tomatoes have started to wilt. Add the coconut milk, peanut butter and palm sugar. 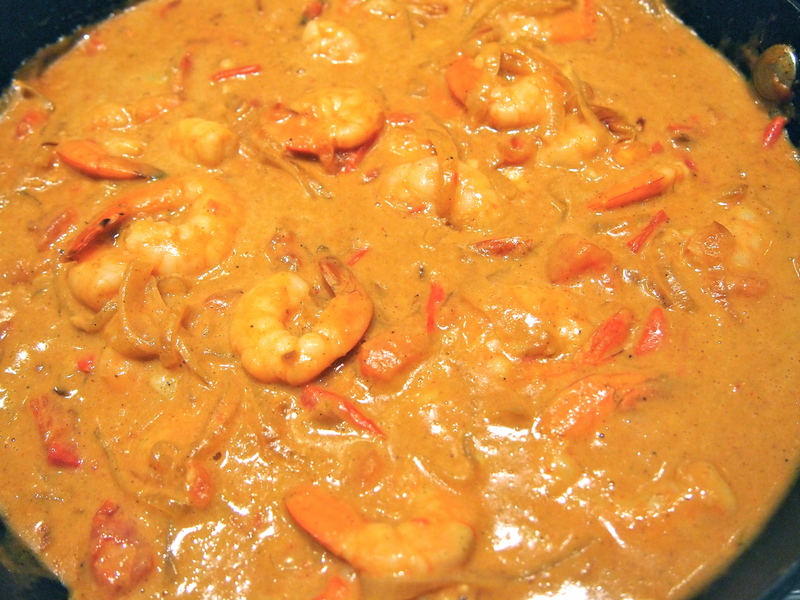 Bring to the boil then reduce the heat and simmer for 15-20 minutes; then add the prawns and simmer again for a further 5-8 minutes until the prawns are cooked through. If your sauce is reducing too much add a touch of chicken stock or cover the pan. Bring a large pot of salted water to the boil and cook the pasta until just done. Drain and return to the pan it was cooked in and add a little bit of the curry sauce to stop the pasta sticking. 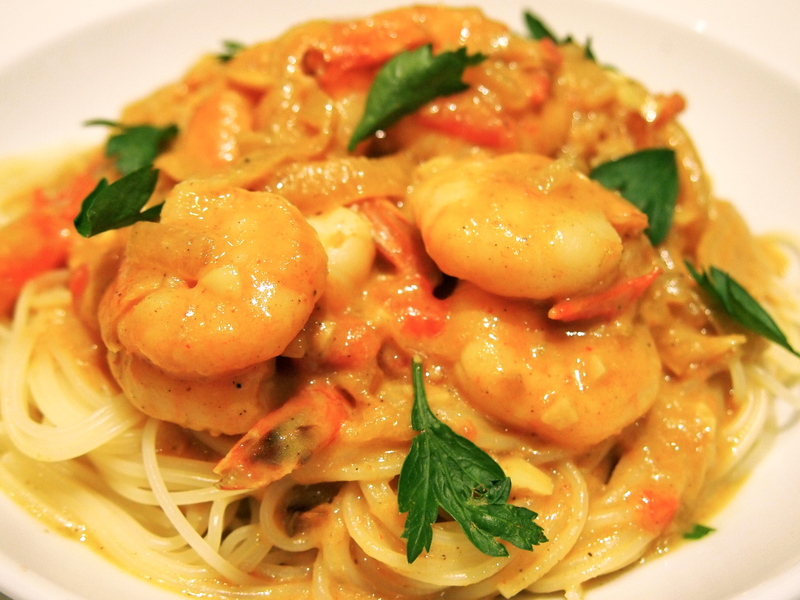 To serve place some pasta on each plate and top with a generous helping of prawns and sauce. Garnish with a few leaves of parsley or coriander and serve straight away.